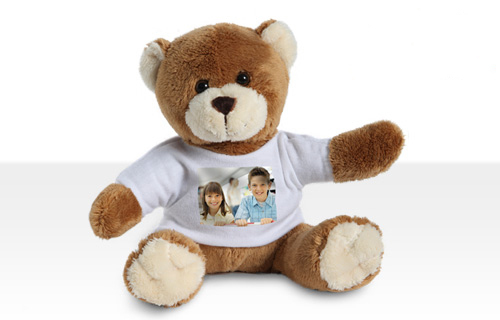 This little teddy is perfect for cuddling, dreaming and giving away that it's especially fluffy, has cute little button eyes and also wearing a cute t-shirt, on your favorite motive is to see! So that you do not only guarantees your little ones happy! 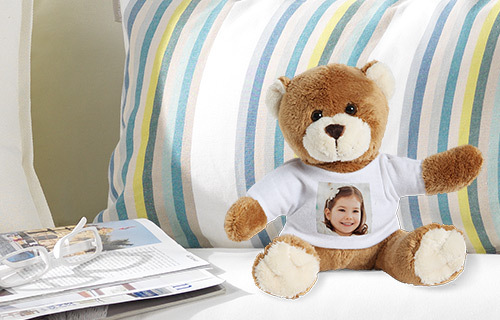 The personal cuddly teddy bear made ​​of 100% polyester and is washable velvet printed T-shirt at 30°C.